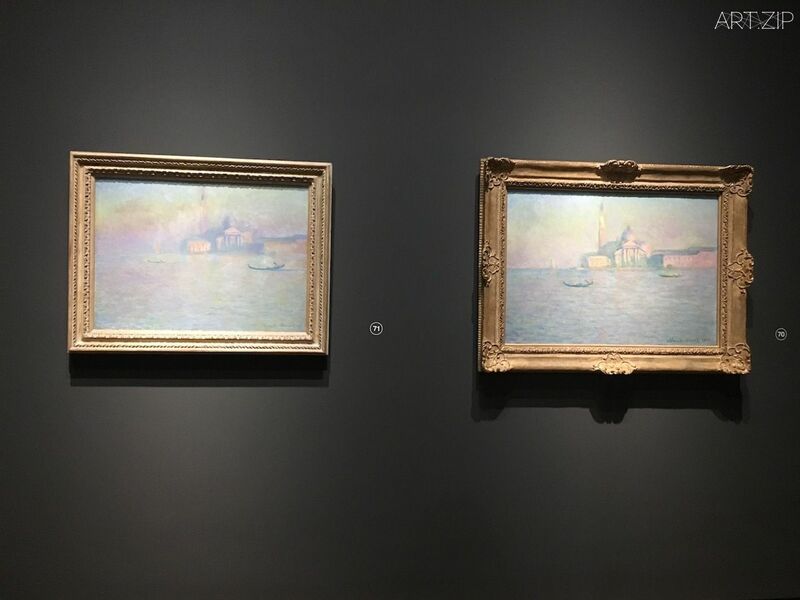 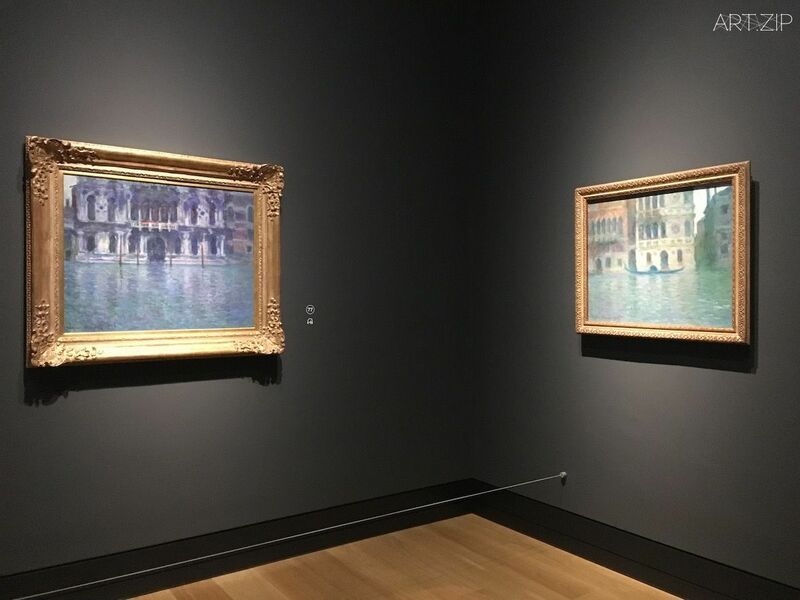 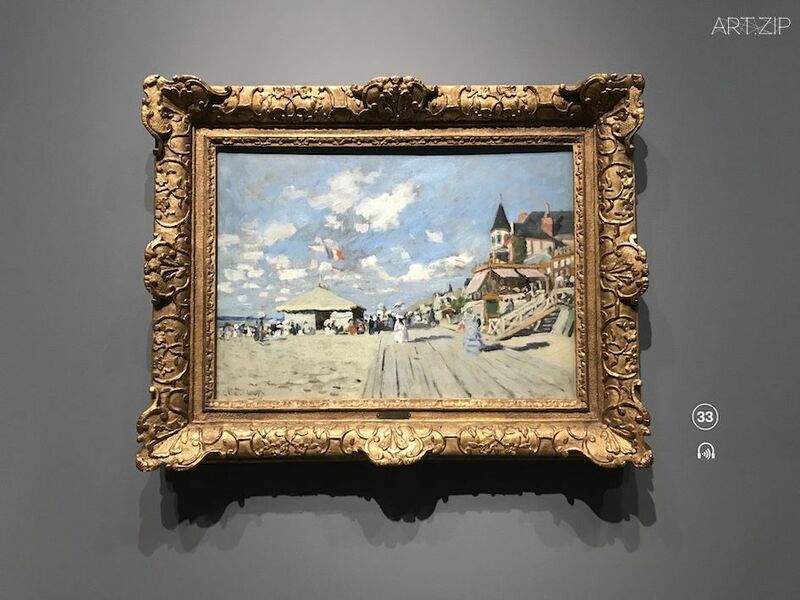 Featuring more than seventy-five paintings by Monet, this innovative exhibition spans his long career from its beginnings in the mid-1860s to the public display of his Venice paintings in 1912. 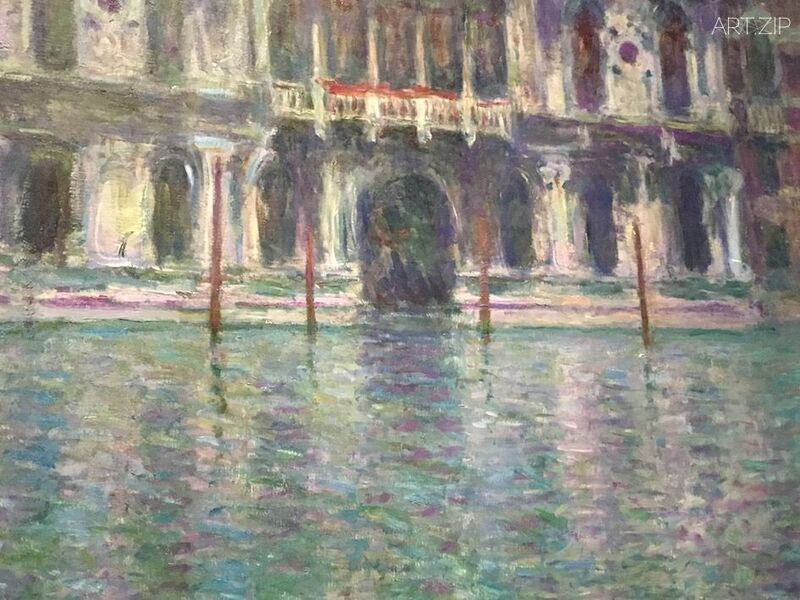 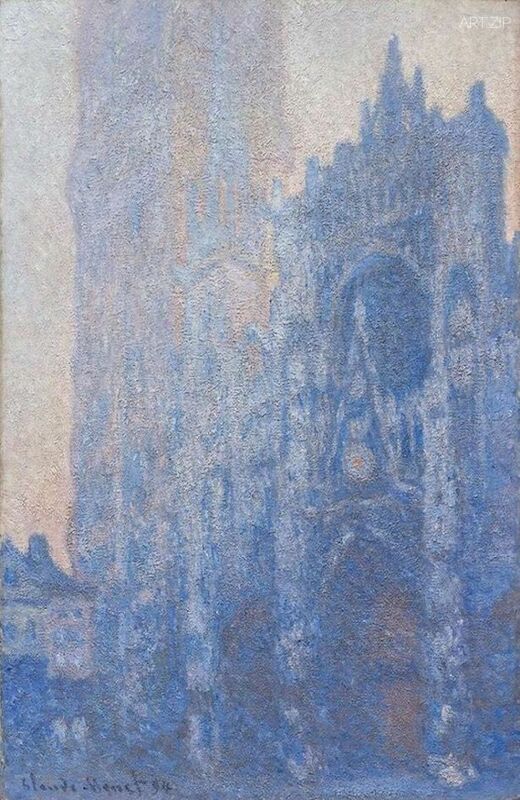 Buildings played substantial, diverse, and unexpected roles in Monet’s pictures. 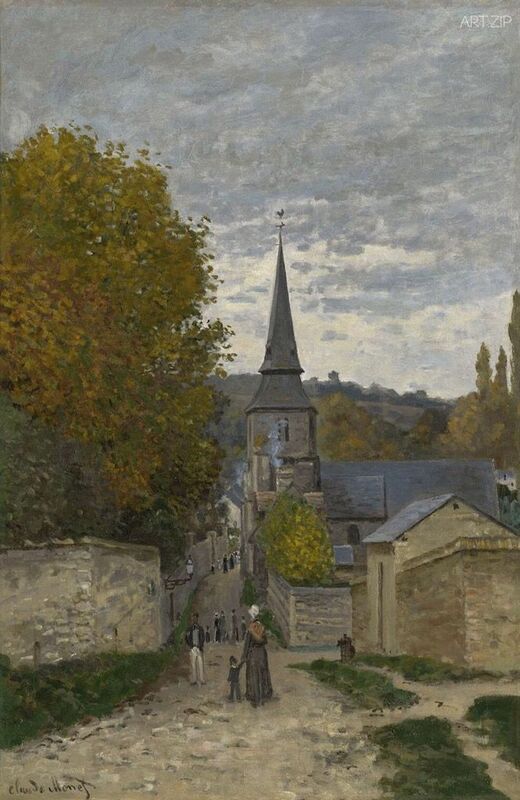 They serve as records of locations, identifying a village by its church (‘The Church at Varengeville, Morning Effect’, 1882, Collection of John and Toni Bloomberg. 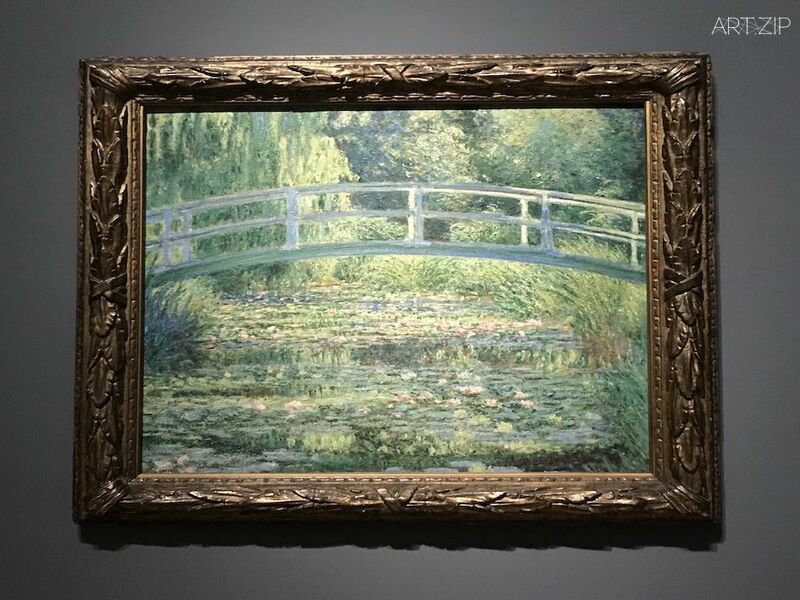 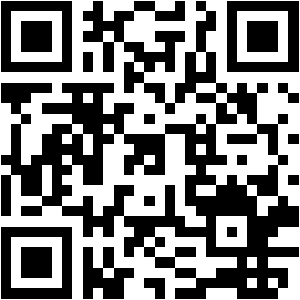 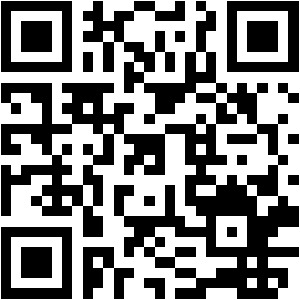 Promised gift to The San Diego Museum of Art. 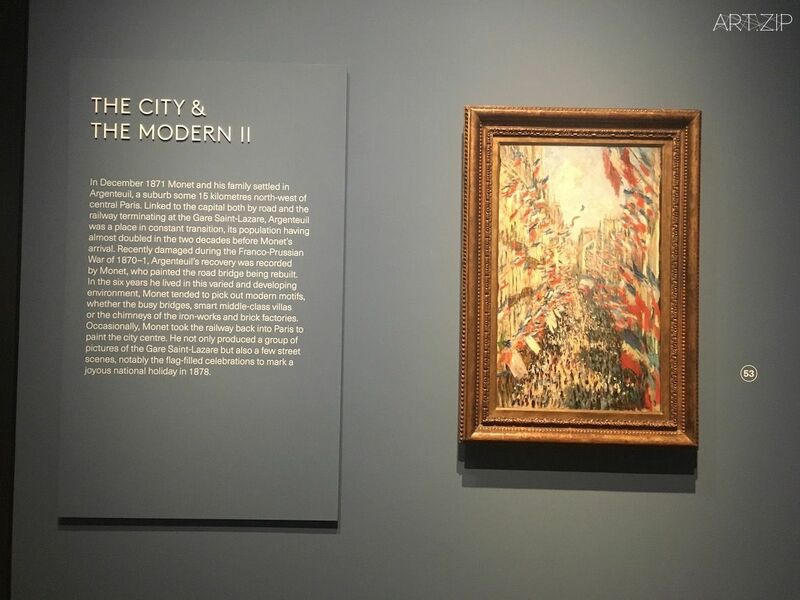 ), or a city such as Venice (‘The Doge’s Palace’, 1908, Brooklyn Museum, Gift of A. Augustus Healy 20.634), or London (‘Cleopatra’s Needle and Charing Cross Bridge’, about 1899–1901, Eyles Family courtesy of Halcyon Gallery) by its celebrated monuments. 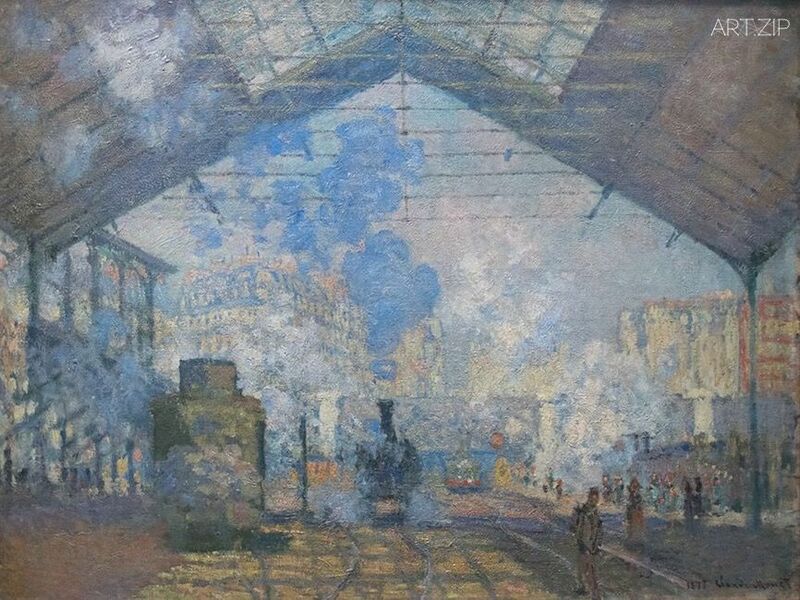 Architecture offered a measure of modernity – the glass-roofed interior of a railway station, like The Gare St-Lazare (1877, The National Gallery, London) – whilst a venerable structure, such as ‘The Lieutenance de Honfleur’ (1864, Private Collection), marked out the historic or picturesque. 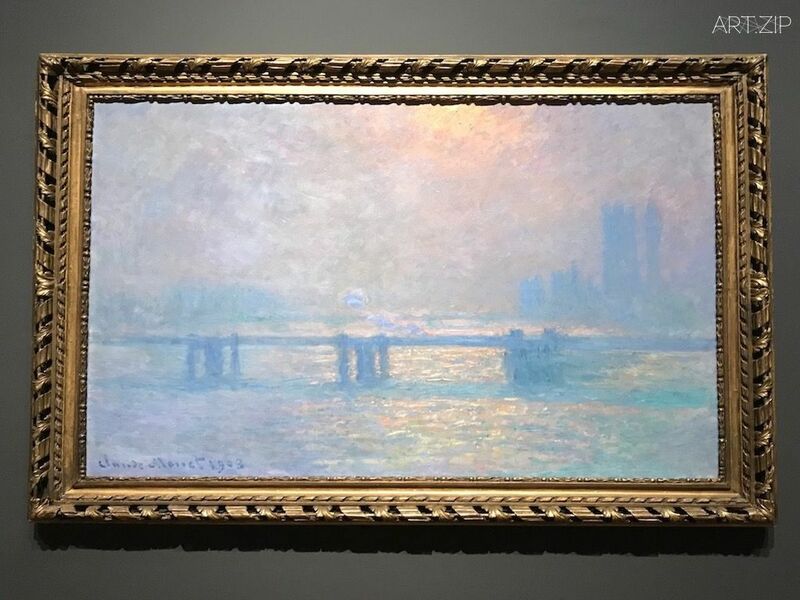 A man-made structure helps the viewer engage with the experience of a Monet landscape. 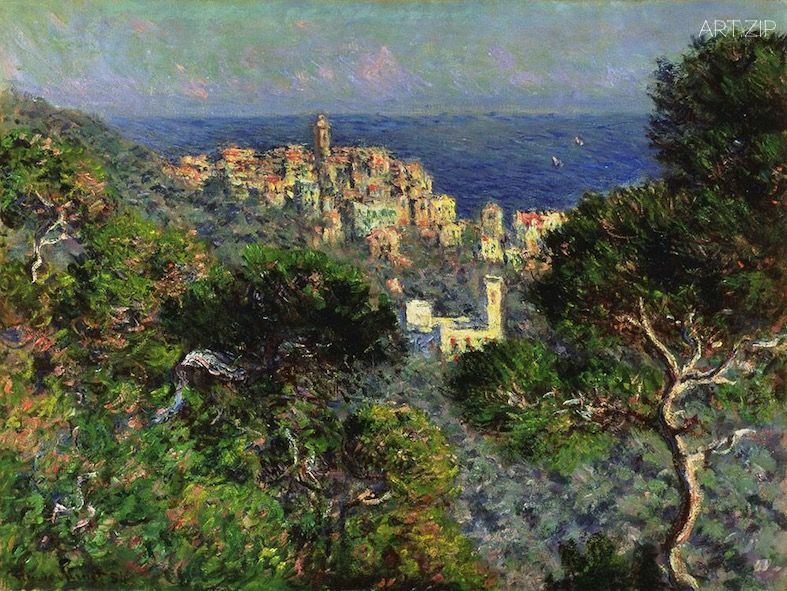 A distant steeple (‘The Church at Varengeville’, 1882, The Barber Institute of Fine Arts) or nearby house (‘Gardener’s House at Antibes’, 1888, The Cleveland Museum of Art, Gift of Mr. and Mrs. J. H. Wade), are marks of scale, responding to our instinct to read our physical surroundings in terms of distance, destination, and the passage of time involved in transit. 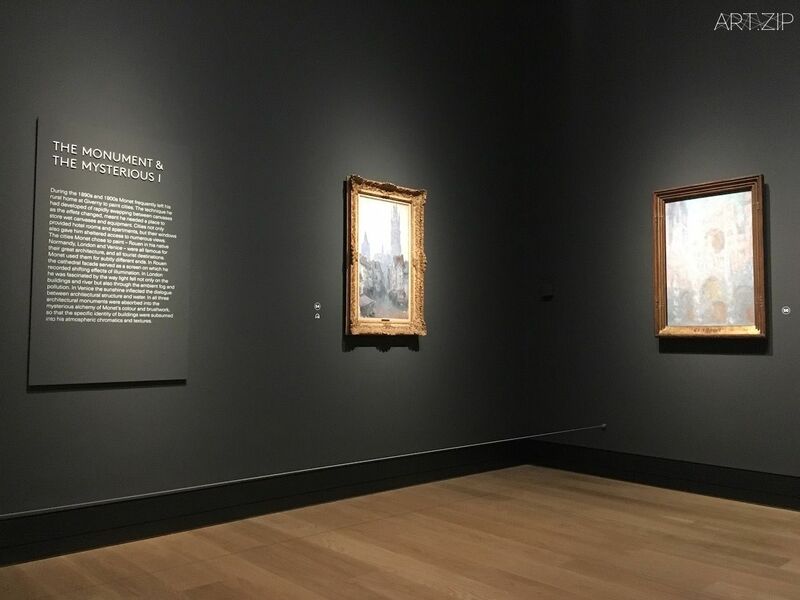 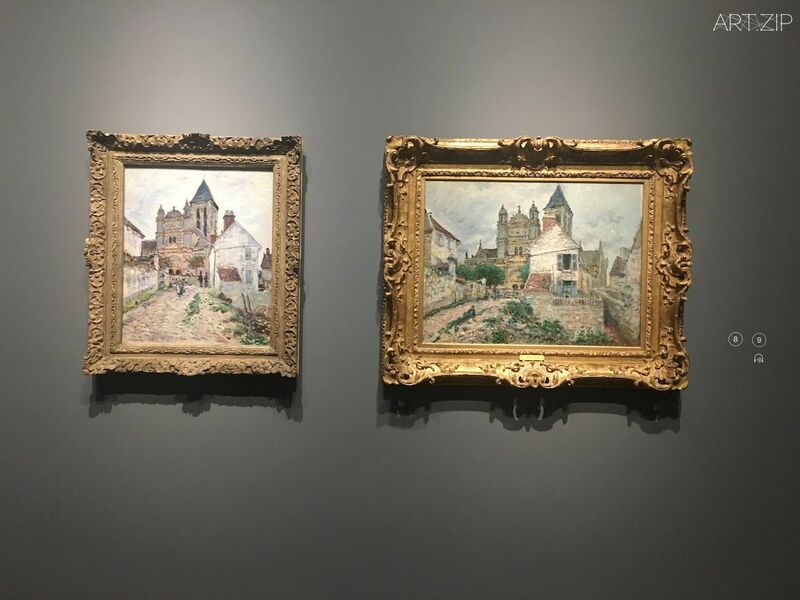 ‘Monet & Architecture’ will be displayed in three sections – ‘The Village and the Picturesque’, ‘The City and the Modern’, and ‘The Monument and the Mysterious’ – and will explore how one of the world’s best-loved painters captured a rapidly changing society though his portrayal of buildings. 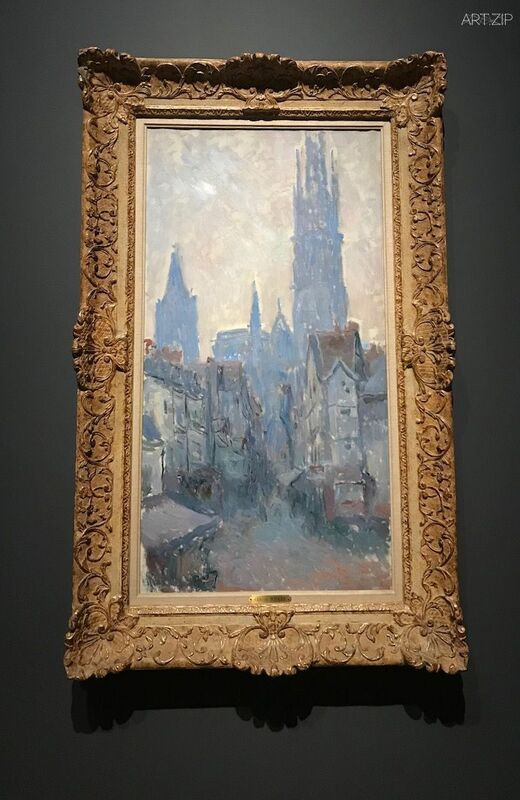 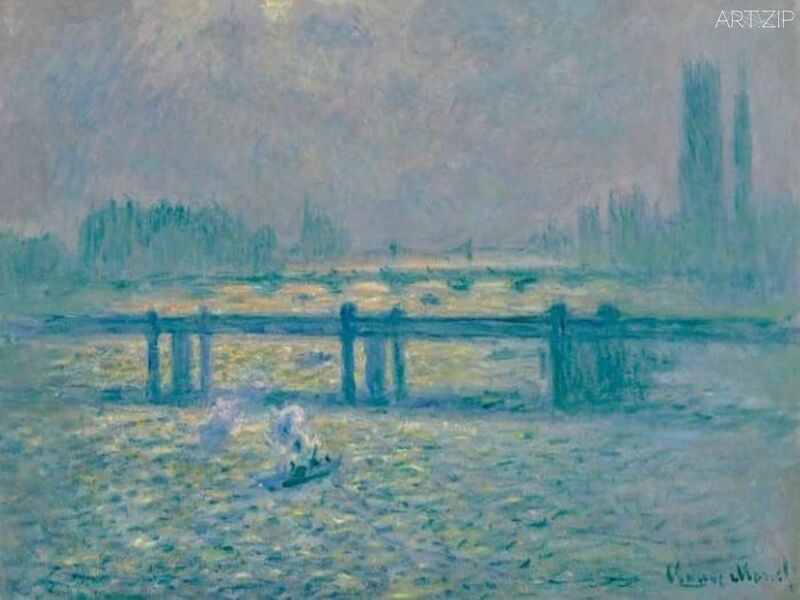 Many world-famous and much-loved Monet pictures will be travelling to London: the ‘Quai du Louvre’ (1867, Gemeente Museum, Den Haag), one of his first cityscapes; the ‘Boulevard des Capucines, Paris’ (1873, The Pushkin State Museum of Fine Arts, Moscow) shown at the first Impressionist exhibition in 1874 where it aroused controversy; and the flag-filled ‘The rue Montorgeuil, Paris, The National Holiday of 30 June, 1878’ (Musee d’Orsay) made to celebrate the celebration of a national holiday.